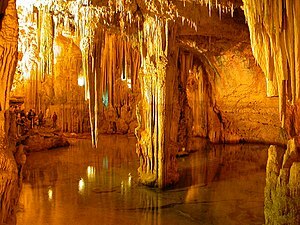 For an amazing day trip from Alghero‘s Old Town, visit the spectacular sea-caves of Neptune’s Grotto located at the promontory of Capo Caccia. The geological wonder is located directly under the lighthouse at sea-level. 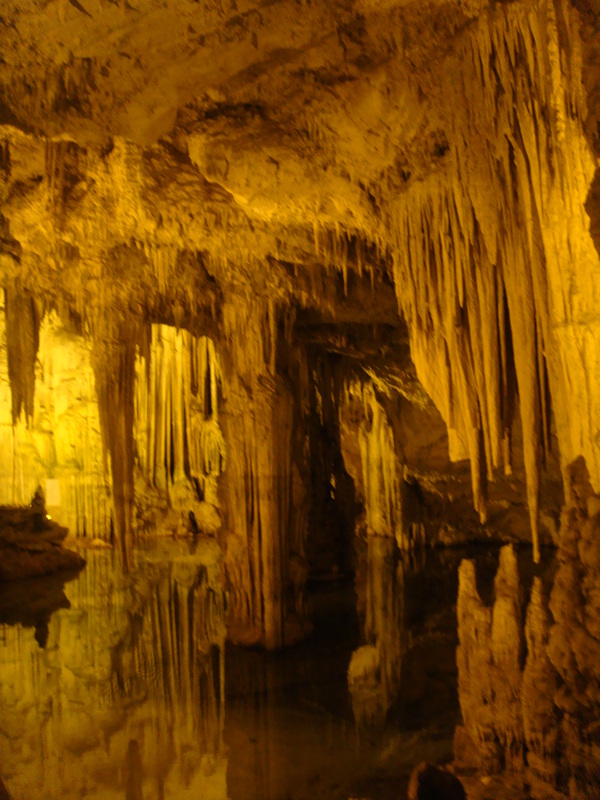 This fascinating natural jewel in Sardinia‘s Mediterranean basin attracts over 150,000 visitors per year. 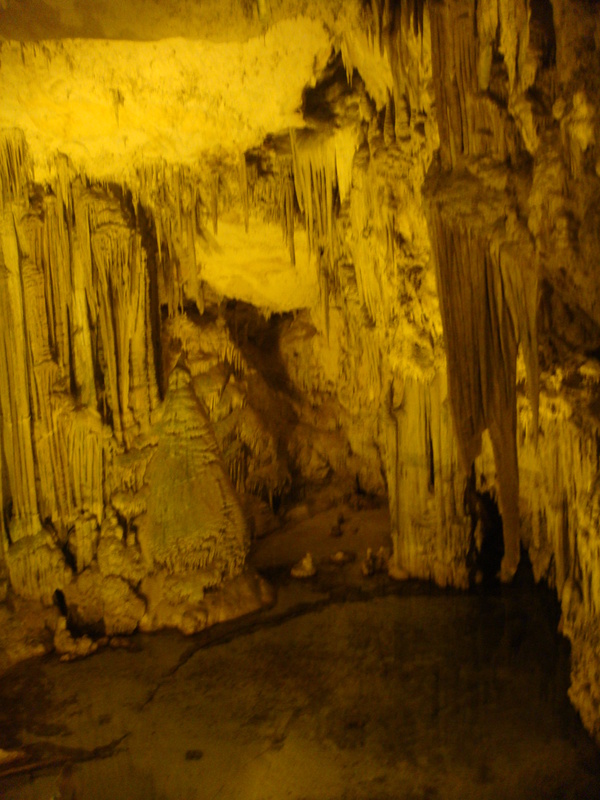 These marine caves are located to the west of the town of Alghero and can be reached by boat or by a steep set of stairs. 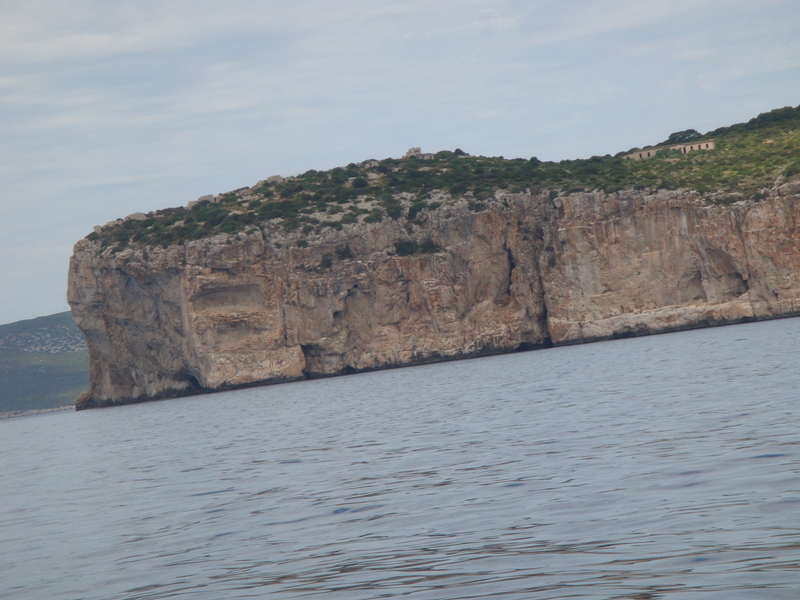 The scenic boat trip on the way to the caves includes the tranquil blue bay of Porto Conte and the spectacular vertical cliffs at Capo Caccia. The cave was once a habitat for the Mediterranean Monk Seal, which has become extinct in the area. 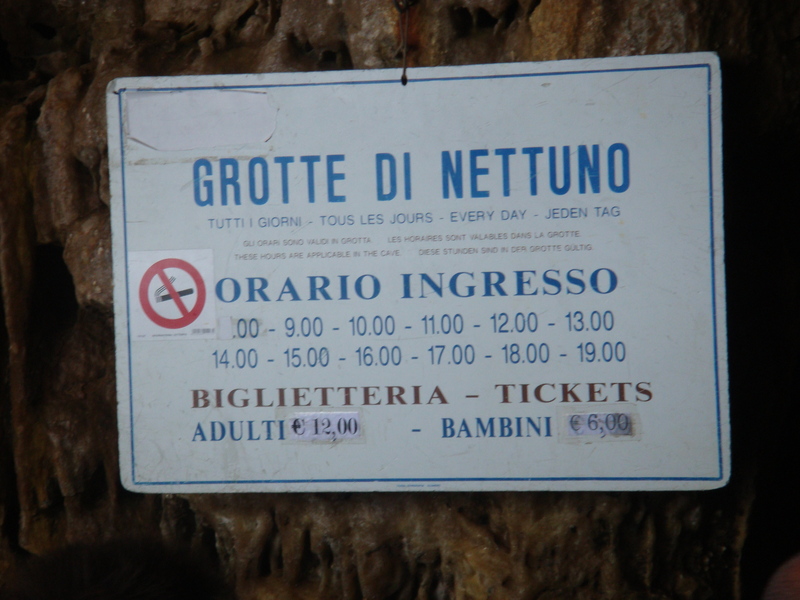 The caves are accessible from the sea with the “Linea Grotto” boat tour that leaves the Port of Alghero every day (weather permitting). The other option is on foot via the “Escala del Cabirol” (Billy Goat Stairs). This dramatic set of about 660 steps is cut into the side of the cliff. 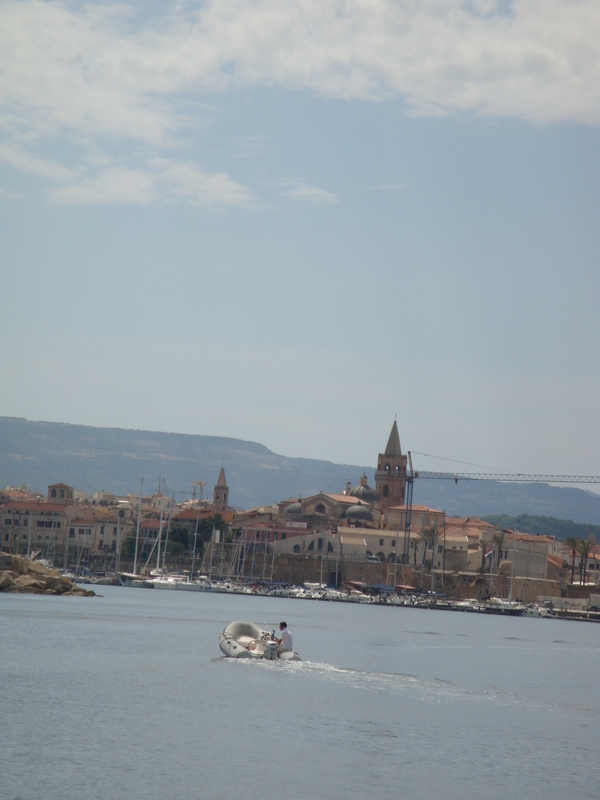 I have personally traveled both ways and believe me, I definitely prefer the boat trip from the harbor of Alghero! 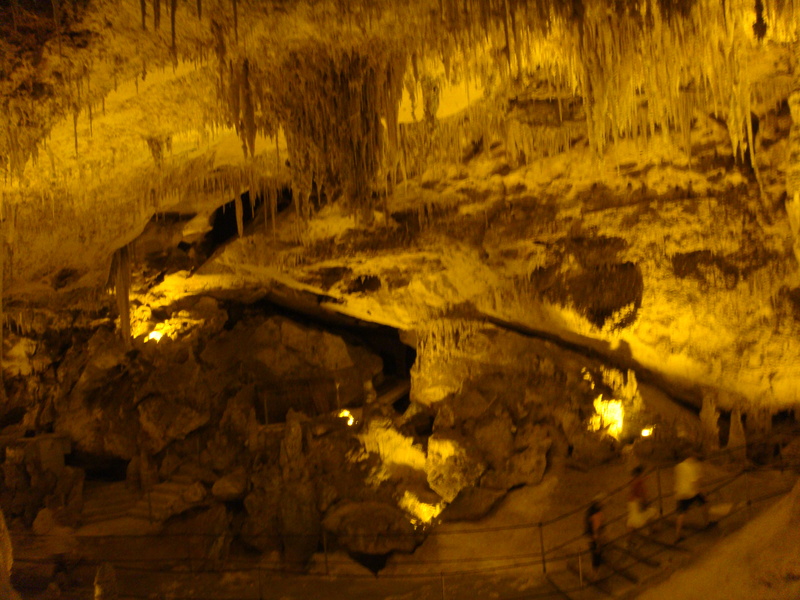 This enchanting fairy-tale underworld sea-level cave complex was discovered by fishermen in the 18th century. 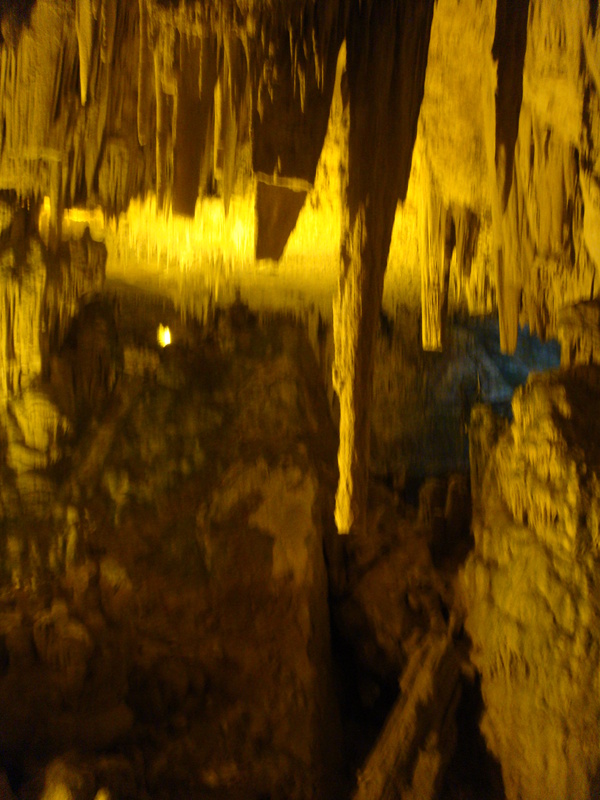 Dramatic lighting enhances the magical stalactites (on the ceiling) and stalagmites. These dramatic formations create impressive shapes that resemble organ pipes and cathedral columns. The tour begins at the great room holding the transparent waters of the Lago Lamarmora (Lake Lamarmora). This is one of the largest saltwater lakes in all of Europe. Admire the Acquasantiera (The Baptismal Font). 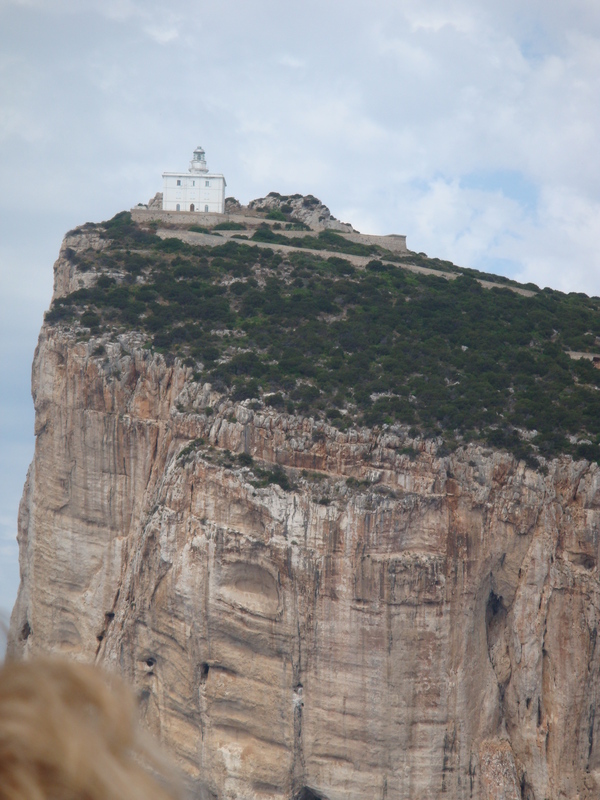 This monumental stalagmite collects rain-water and serves as a vessel for birds that nest in the Capo Caccia region. The tour moves into the Sala delle Rovine (Room of Ruins) and then proceeds to the Majestic Reggia with impressive columns. 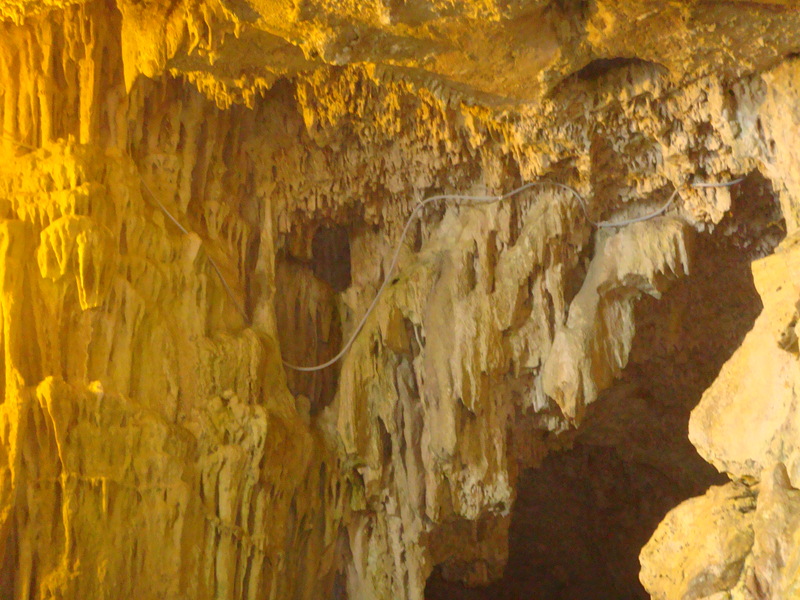 One of the distinctive stalagmite formations is known as the Albero di Natale (Christmas Tree). You can view the Spiaggia dei Ciottolini (Pebble Beach) and then travel to the Sala Smith (Smith Room). 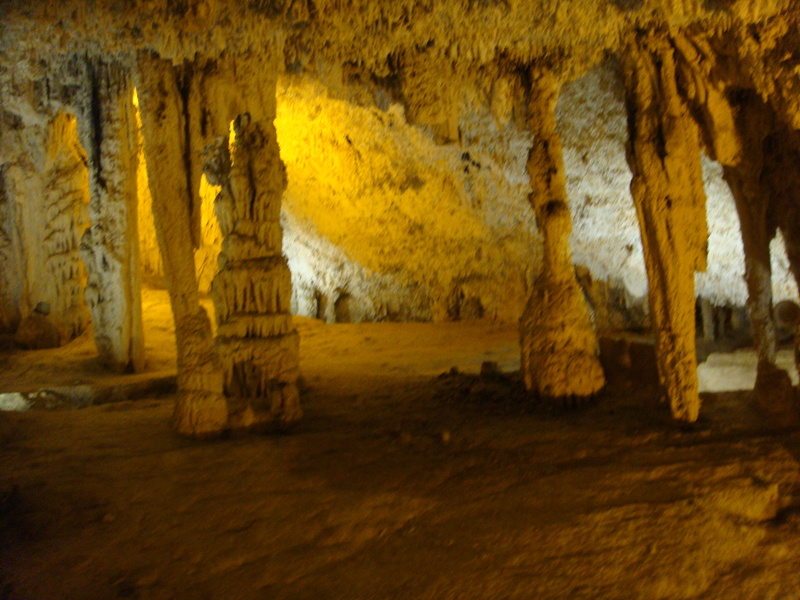 In this room, the Grande Organo (Great Organ) has the largest column in the entire grotto. This room was named after the English captain who was one of the first people to explore the grotto in the early 1800’s.